Not sure about you, but this year is whizzing by! My year as President has also passed so quickly. When I think back over the last year as President, I’m reminded that I was only able to complete this job because of each members’ help. I’m thankful for many things: the Board’s hard work – each doing their part and helping with others’ when needed, members’ encouraging words, members volunteering to serve as committee chairs or on a committee - even with their busy, busy schedules, members donating and purchasing items benefiting the Alyce Deering Scholarship fund, members planning and hosting our luncheons, and members enthusiastically participating in the ‘Introduction Questions’ at each meeting (this was one of my favorite parts). While being President wasn’t always easy and a bit stressful at times (being honest here), serving in this capacity pushed and challenged me to do more than I thought possible. So, if you’re up for a challenge – one which I know any of you could do - I encourage you to serve on a committee or chair a committee or pencil in applying for a board position next year. With our membership and their encouragement, any and/or all of these positions can be accomplished. Many thanks to Monica Solko for hosting our August meeting at the Lake Worth Multi-Purpose Facility last month. The tables were decorated with beautiful flower arrangements and the food was delicious. And to top off our meeting, Monica had multiple items to give away as door prizes. It’s always fun winning something. Our speaker for the luncheon was Theresa Ewing, Court Director of the Fort Worth Municipal Court. She spoke on “Municipal Court Overview & How Court Relates to Open Records Requests”. In addition to court open records requests, she also talked about Fort Worth’s Warrant Forgiveness Month whereby the court was able to process thousands of warrants by offering community outreach court, extra court hours, etc. Many citizens were able to take care of their court business since the court was more accessible and customer-service oriented. During the meeting the FY 18-19 Slate of Officers were accepted by the membership. 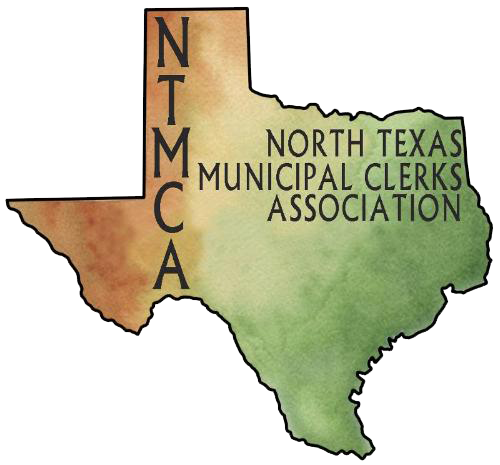 The Slate of Officers accepted are as follows: President - Amy Shelley, Southlake; Vice President – Monica Solko, Lake Worth, Treasurer- Tracy Henderson, North Richland Hills, Secretary – Christine Green, University Park, and Historian – Erica McComis, Bridgeport. The Preliminary FY18-19 Budget was presented, and Vice President Amy Shelley gave a brief presentation on NTMCA committees and their responsibilities. 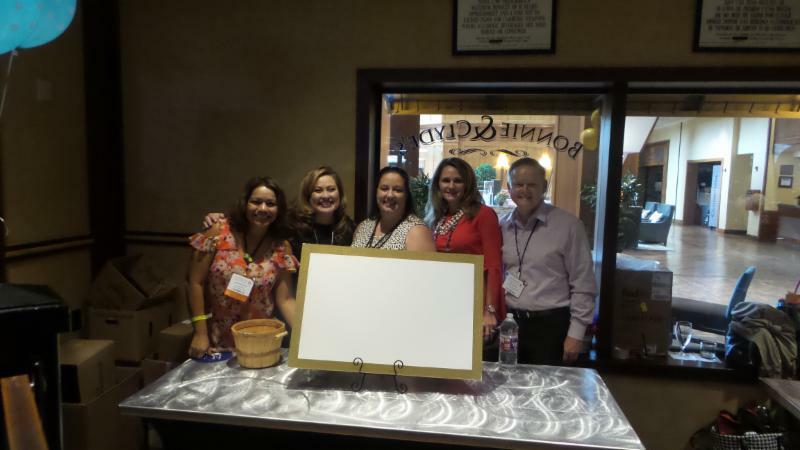 NTMCA hosted a social event on Thursday, August 9, 2018 during the TMCCP Records Management Conference in Grapevine. The event began with NTMCA handing out welcome bags and greeting everyone at the conference. 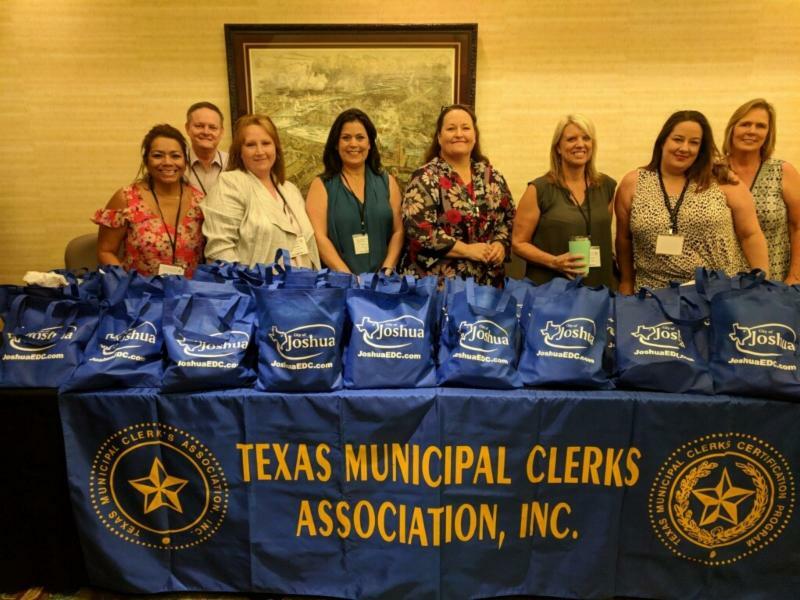 There were 300+ clerks at the conference and thanks to the table volunteers, city donations and sponsor goodies the welcome bags were a nice addition from our chapter. 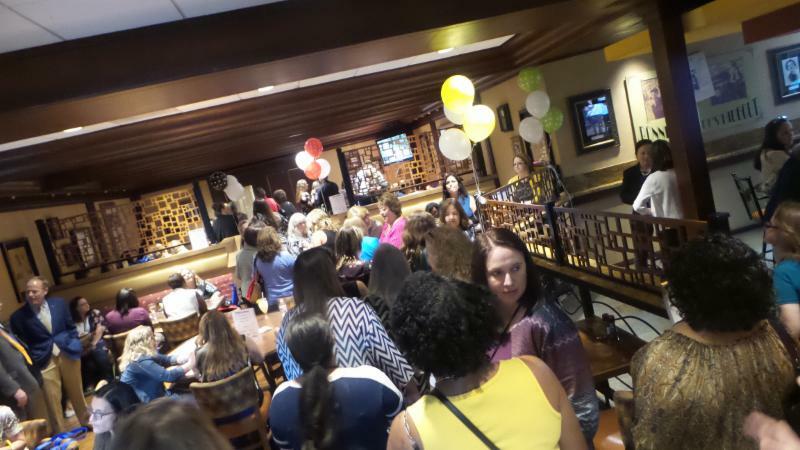 The afterhours social was a huge success and the swag bags, door prizes and food were the talk of the evening. We are extremely grateful for the generosity of our sponsors, Franklin Legal Publishing, Bojorquez Law Firm, RCI, Underwoods and MCCi/Municode, Marie Balthrop, TMCA President and the NTMCA Chapter, for helping make the event one to remember. Many, many thanks to the NTMCA Social Committee: Alicia Richardson (North Richland Hills), Kim Sutter (Euless), Ron Gonzales (Fort Worth) and Art Camacho (Haltom City) for organizing, preparing and executing this epic event. Committees aren't the most glamorous of things and sometimes they're even openly ridiculed. 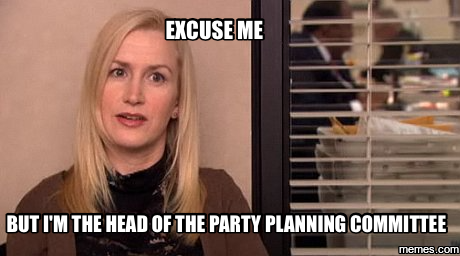 For those of us who remember, think back to "The Office," which often attacked the petty tyranny of the Party Planning Committee , or better known as the PPC. If you are unaware of this, just google PPC and The Office, you’ll find lots of funny videos! Chapter committees do a lot more than just setting up the holiday party or planning the Professional Seminar. Often times, committees are a way to get involved in important Chapter business, such as bylaws, drafting the budget, and advancing new technology. Working on a committee can allow you to demonstrate leadership and help you stand out from the pack. Who doesn't want to have a finger on the scale? Serving on a committee gives you an opportunity to influence decisions that could really impact the Chapter and membership. Committee work can be a refreshing way to break up your day-to-day schedule and breaks the monotony of normal tasks. Not only will you get to exercise different skills, you will also interact with members of the Chapter that you might not get to see or spend time with. Committee work can help expand your membership friendships. Committee work can allow you to dip your toes into a variety of new knowledge pools, such as planning an amazing Professional Seminar or helping to raise funds for the Alyce Deering Scholarship Committee. You'll gain experience and a better picture of what it takes to run Chapter events. If you're looking to stand out, succeeding on a committee is one way to do so. Whether it's organizing the best holiday party the Chapter has ever seen, or revamping the bylaws , committee work is a good way to show that you know what it takes to get a job done successfully. Please consider submitting your application to serve on a committee. Your Chapter needs your skill set, and we would love to see you in action! 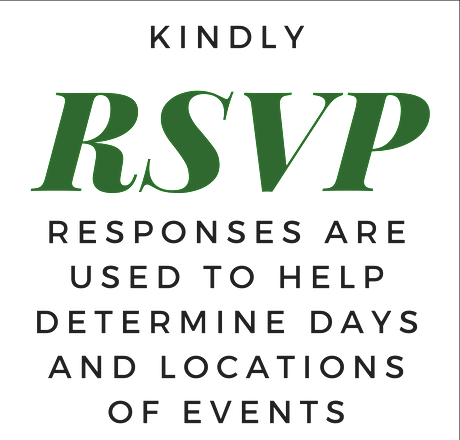 If you have any questions, please contact Amy Shelley at 817.748.8015 or email: ashelley@ci.southlake.tx.us . Click HERE for a copy of the application form and HERE for a list of openings.